After all of the time, money, and work put into an EB-1, getting a rejection or denial can be devastating. 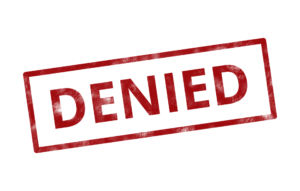 If you are looking to avoid this scenario or you have already received a rejection or denial notice, then the following information is for you. Each EB-1 petition is adjudicated using a two-pronged approach. If your petition does not pass this stage, then it will likely be rejected. Fixing the error or omission and refiling is often the best thing to do in these cases. However, you will be responsible for new fees. If your petition passes the first stage, then the evaluating officer will review the evidence and assess whether or not you and your employer (if applicable) merit an EB-1 green card. If not, then you may expect to see a denial notice. In these cases, refiling often isn’t the best option. Instead, you may want to talk to your attorney about filing a legal motion or going through the appeals process. If you can present more evidence that was not submitted with the previous petition, and if that evidence would likely have a significant impact on the decision to deny your EB-1 petition, then you might be able to file a motion to reopen. However, this is only if new evidence has come to light. Lastly, you can also bring your case to a third party to appeal the decision. In immigration law, that third party will be the Administrative Appeals Office, which has a track record of upholding the decisions of the evaluating officers. If an evaluating officer is reviewing your case and notices that some extra documentation would bolster your candidacy for an EB-1, he or she may issue a Request for Evidence (RFE). These can range for simple requests for missing documents such as birth certificates or passports to requests for more complicated things such as proof that you work in a managerial capacity for an EB-1C or proof of your achievements for an EB-1A. If you do get an RFE, the first thing you should do is take it to your attorney so that you can file a satisfactory and timely response. There are three kinds of ways to respond to an RFE for your EB-1 green card: a full response where you give all of the evidence requested, a partial response where you only give some of the evidence requested (either by choice or because the evidence is not available), and a withdrawal of your petition.